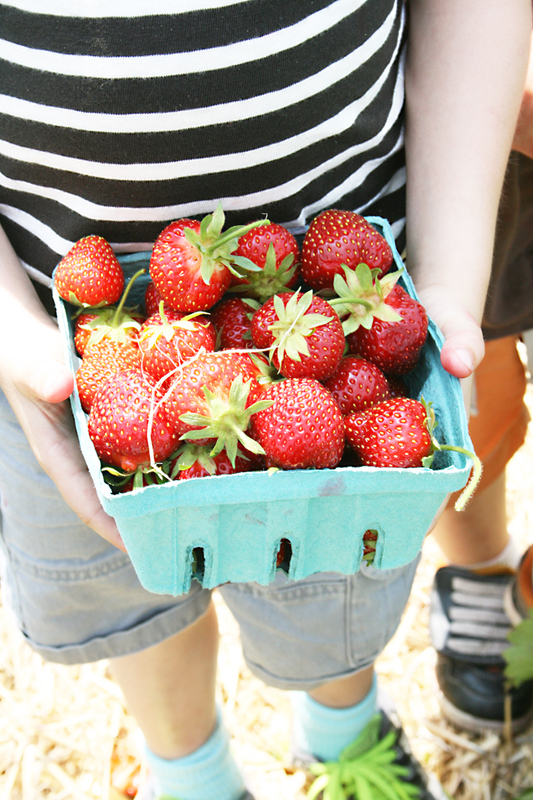 Yesterday was the perfect day to go strawberry picking. Temperature was in the low 80’s with a cool breeze. School in our neck of the woods is still in session so the crowd was minimal. 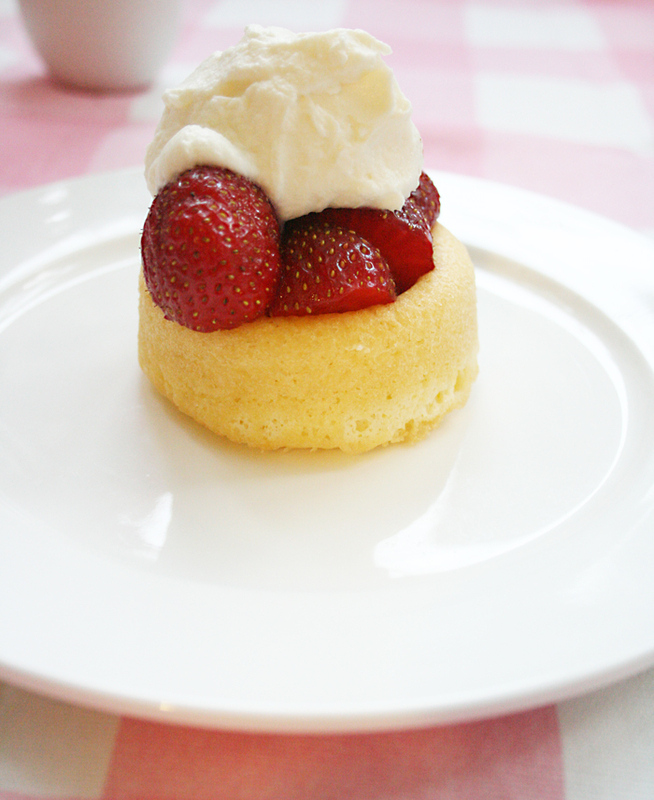 And the strawberries were a perfect red, and taste like candy. 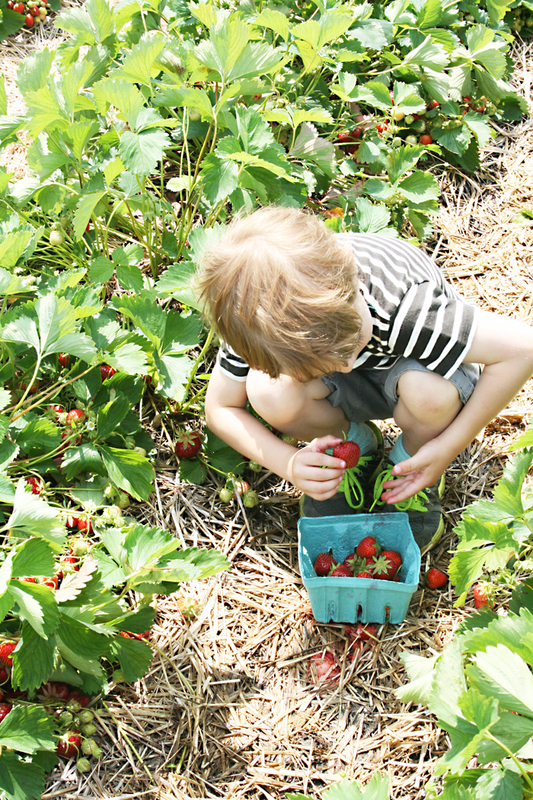 I must admit that picking strawberries is not my favorite amongst berry picking. You’ve got to get down on your knees. The ground is wet and muddy, and with a 6 month old in tow…there was a lot of crying. 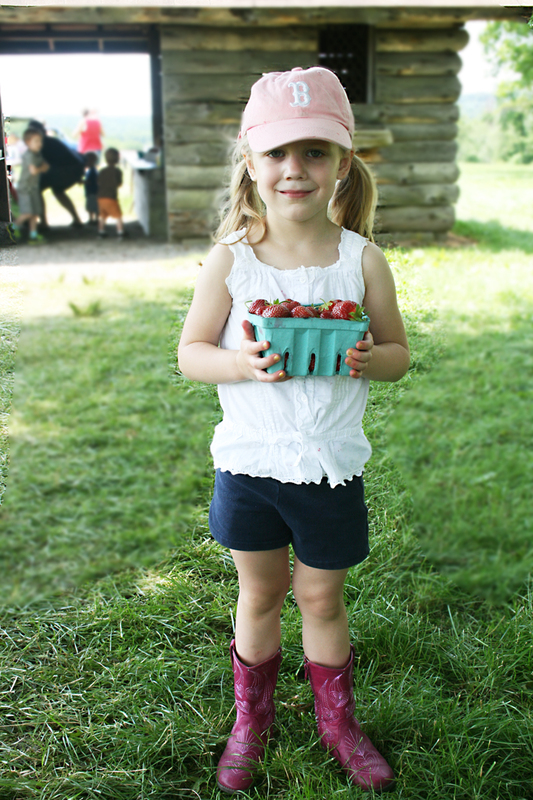 But in about an hour we picked 16lbs of strawberries! I’ve got my work load of jamming and freezing and baking. But it’s so worth it. 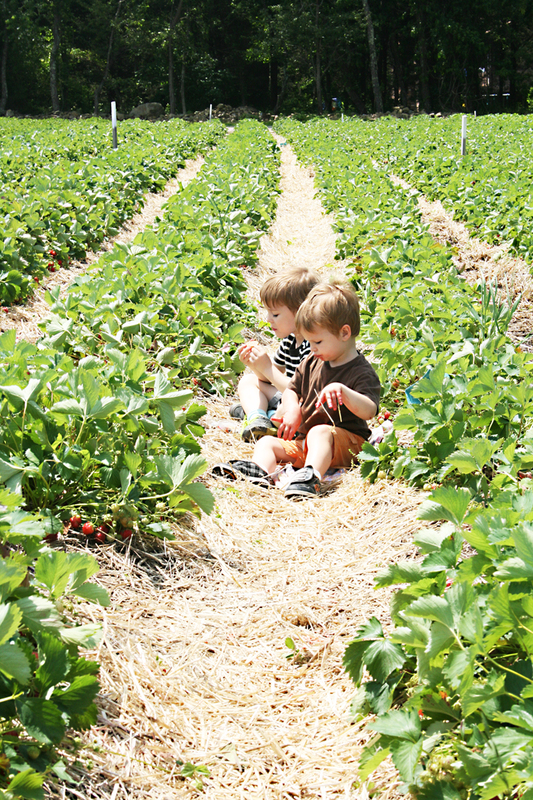 we are going tomorrow to pick strawberries. they look so yummy, I can't wait! Oh, I'm like 9 different kinds of jealous! Looks like a great time. Eat some for me. 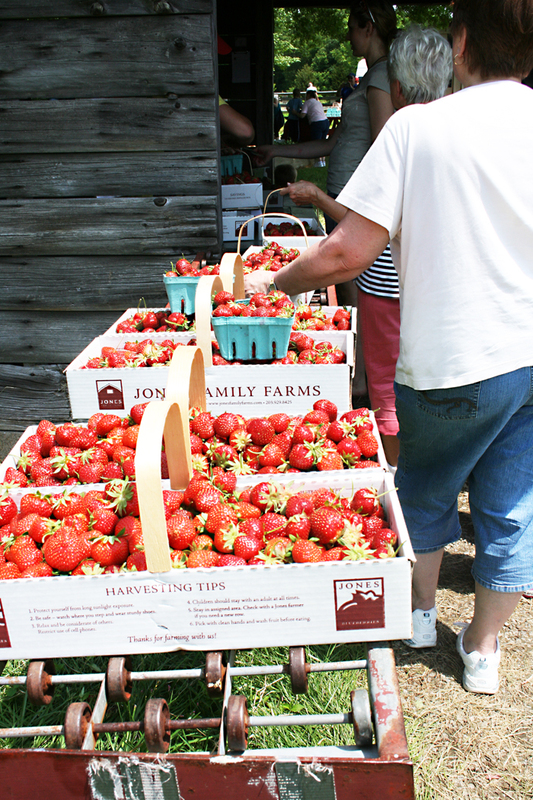 Sniff, sniff – I miss Jones Family Farm so much. We love that place. So glad you got to go – was the hayride fun? ?